Daejeon is the city of science, having Asia's largest R & D cluster where leads technological advancement and innovation nowadays. It is an emerging tourist destination as well with abundant tourist attractions which include UNESCO World Cultural Heritages of 1,500 year-long royal tombs and fortresses, Korean traditional village, Buddhist temples, forests, lakes, Michellin Guide-introduced arboretums, and more. Geographically and functionally, Daejeon is heart of Korea and heart of innovation. Daedok Innopolis aims to be a world-class cluster that will showcase Korea’s most innovative firms. Through close collaboration with industry and the academic community, Daejeon brings the full strengths of Korean working skills to create a dynamic IT hub for foreign and domestic investors. 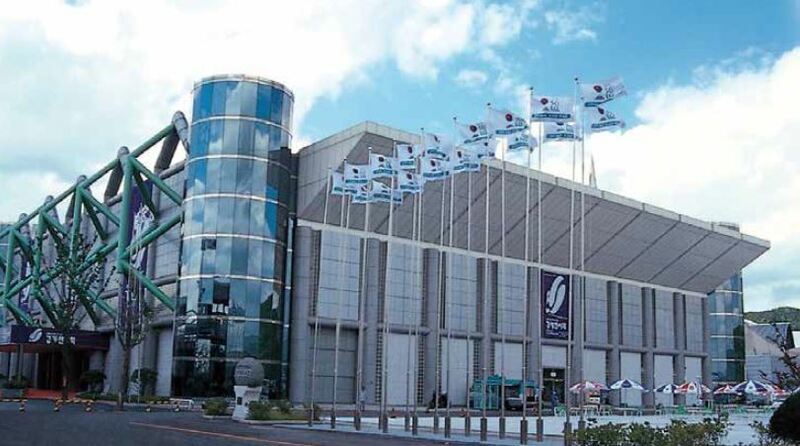 Over 14 million delegates from 108 countries attended Daejeon Expo in 1993, with the theme ""The Challenge of a New Road of Development"" for Korea. As a legacy, the city created the Expo Park which now stands as one of the unique MICE venues in Daejeon. 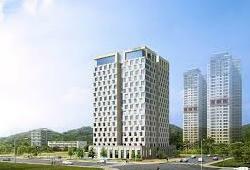 Daejeon is the largest R&D center in Korea composed of 30 government-funded research institutes, 19 universities, 400 privately funded business R&D centers. Among these, are globally recognized R&D institutes namely KAIST, UST, Korea Polytechnic College, and Chungnam National University. Seoul City’s walking tours offer insight into capital’s heritage rich in culture and history. Since 1996, the Royal Guard-Changing Ceremony at Deoksugung Palace has taken place three times a day where foreign tourists can take part by becoming a royal guard to feel and experience Korean tradition first hand. Rising up from the summit of Namsan Mountain (262m) is a breathtaking city landmark: the N Seoul Tower (236m). Its surroundings: Namsan Park and the nearby Namsangol Hanok Village has become thefavorite attraction for both locals and international visitors for its romantic ambience and stunning city view. Seoul offers a very different landscape when traversed on bike, giving riders a more intimate look at the Han River and the green areas of Seoul. The paths will provide a chance to glimpse into the lives of the average Seoul citizen. More and more giant “one-stop, cultural complexes” are springing up across the capital of Seoul. These huge centers are typically connected to major transport hubs which save customers’ time by combining a department store, supermarket, bookstore, restaurant and a movie theater. The single-level bus that starts in Gwanghwamun takes visitors to the bridges around Hangang River, N Seoul Tower, and other night attractions of Seoul. The tour takes about 1.5 hours and although it's an abbreviated tour, it passes by some of the major night attractions of Seoul. Gangnam literally means south of the river, and Gangbuk- north of the river. Gangnam refers to the district of Gangnam-gu, that trades in business, beauty, and education and is home to some of the city’s wealthiest. Songdo embodies the future of Incheon. A trip to Songdo can start at the Central Park, a natural oasis in the city. Past the promenade, along a field of reeds are array of innovative buildings, creating a avant-garde yet peaceful ambience. Whether you are stopping over Incheon or looking for a short trip near by Seoul, a visit to Yeongjong Islandand and or Eurwangni Beach (the largest beach in Incheon) is a must. They are economical and convinient; just two hours away by public transportation and ideal for one-night, two-day getaways. The very first and largest port city located on the west coast of Korea, Incheon, was first port to open to Western nations. The Street of Culture on Wolmido Island, Chinatown, the Jayu Park, Sinpo Market, which formed in response to the influx of foreign trade and culture; Heungryunsa Temple, which provides great views of the sea and the Incheon Bridge; are some of the must see sites when visiting the city. Because it is a port city, Incheon has many foods made of fresh seafood, offered at specialized streets. Jajangmyeon and jjolmyeon are famous as well as dak-gangjeong in China town and Sinpo Market respectively. There are also several festivals including The Incheon Pentaport Rock Festival, the Soraepogu Festival, and the Ganghwa Dolmen Festival draw large numbers of tourists from other regions. The Gyeonggi Province, home to Suwon Hwaseong Fortress is a UNESCO World Cultural Heritage, and Namhansanseong Fortress was once a military stronghold and one of the best places to visit to learn about Korean history. One should also check out Yeongneung / Nyeongneung, Yeoju Ceramic Art Complex and or Icheon Ceramics Village when in town. Paju and Yeoncheon in north Gyeonggi-province are close to the truce line that separates North and South Korea. The Demilitarized Zone, or DMZ, has been relatively untouched, remaining as ecological treasure house for research and preservation. Away from the skyscrapers and busy roads, immerse in the riches of mountains and recreational forests. In Gyeonggi, there are several mountains including Bukhansan, Dobongsan, Yumyeongsan, and Yongmunsan, as well as lakeside views at Cheongpyeonghoban Lake and Dumulmeori along Bukhangang and Namhangang rivers. There are several culture and art communities, each offering its own unique flavor to the province’s cultural landscape. The villages are often bustling with young visitors who have come for artistic inspiration or just to snap photos of the beautiful scenery. You may want to visit the popular filming locations including the theme park in Yangju and Goguryeo Blacksmith Village where Daejanggeum:(‘Jewel in the Palace’) and ‘Taewangsasingi’ were filmed. Many hit series and movies were filmed throughout the area, capitalizing on the area’s interesting architecture and innovative interior designs. For a break away from the city, take a visit out to the Gyeonggi for nutritious foods with traditional recipes which are key Koreans’ incredible health and longevity. You can also enjoy a day at a theme park, or visit one of the famous hot spring resorts, where you can relax and be at peace. Gangwon offers thrilling summer sports of kayaking, white water river rafting and other water sports. Safe, but exhilarating, there are a variety of programs available for everyone from the experienced to the absolute beginner. Many of the ski resorts attract visitors from home and abroad to the pristine mountainsides in Korea which are scattered throughout Gangwon Province. Most are large leisure focused facilities offering both skiing and snowboarding and stay open all year round. The most popular time to visit these resorts is during the peak ski season from mid-December to the end of February. Gangwon Province is well recognized as the best tourist destination in Korea with its numerous attractions that can be enjoyed during all four seasons. It boasts a beautiful landscape, a variety of things to see and enjoy, as well as green mountains and clean lakes. Whether alone or in a group, visitors can fully enjoy the autumn mood in Gangwon Province. Hwacheon Sancheoneo Festivals are held when the Hwacheoncheon Stream Hwacheon, freezes in winter, where people flock to the stream, dig a hole in the ice, and begin ice fishing for sancheoneo (mountain trout), known to live in clean and cold fresh waters of the stream. In addition to ice fishing, the festival offers a plethora of fun activities on the frozen stream including ice skating, ice/snow sledding, snowmobile riding, and more. The City of Lakes, Chuncheon, has recentzly emerged as a hot spot for canoeing in the Mulle-gil. The Mulle-gill canoeing program allows visitors the opportunity to canoe around the still waters of Uiamho Lake while taking in expansive views of Chuncheon’s natural surroundings. Of all Korea’s beautiful attractions, no other city springs to mind like Busan with sun drenched beaches and warm ocean waters. Let Busan take your breath away with its coastal charms. City that's blessed with the warm weather and clear ocean, has a wide range of shopping options, including department stores, duty free shops, discount outlets, and large outdoor markets. After shopping one can relax on the beautiful Haeundae beach and or try local delicacies only available in Busan. The picturesque Busan neighborhood of Gamcheon 2-dong— Taegeukdo Village also known as Korea’s Santorini, is recognized for its endless panoramic rows of low-rise cubicle homes climbing up the steep hillsides from the sea below. “Korea’s Machu Picchu" or “Lego Village” are the other nick names they have earned. Located on the southeastern coast of the Korean peninsula, Busan is a dynamic port city with an abundance of historical and cultural tourist attractions as well as trendy shopping areas. While the city's public transportation system is very well-developed and super convenient; all-inclusive hop on and off bus tours are made available by the Busan City Government. Yeosu, a major maritime city, is surrounded by 317 islands and a winding coastline is over 900 kilometers long. The city is blessed with natural splendors including Odongdo Island, which marks the entry to Hallyeohaesang National Park, ‘Hyangiram Hermitage’, a small temple perched high on a cliff overlooking the picturesque islands. The southern Jeolla province region of Korea is traditionally famous for delectable foods and has a great variety of dishes prepared with fresh fish caught from the Southern coast. They are also well known for different kimchi's. Make sure to try Dolsan Gat-Kimchi (Dolsan mustard leaf kimchi), a regional specialty with a unique flavor and taste, in Dolsando Island of Yeosu. Yeosu is undoubtedly one of the country’s most underrated destinations. For view seekers, the city’s hills and mountains afford splendid vistas of the port and its surrounding coastline. You can also cruise out to some of the town’s many scenic islands, while less adventurous types can simply kick back or take a stroll along one of the city’s fine beaches. Past volcanic activity has carved out an extensive series of lava caves and sea caves all around this beautiful island. Just off the coastlines are 8 inhabited and 53 uninhabited islands scattered throughout the emerald-blue sea. There are many unique recreation options offered to its visitors in addition to hiking, including scuba diving to windsurfing and paragliding. The island’s stunning scenery and well-laid-out roads make biking a particular popular sport as well. A volcanic island that has been designated as a UNESCO world heritage site in 2007 offers various activities from Lava Tube System Tours to cycling at Udo Island. Those who love the water can spend the day swimming, scuba diving or surfing at one of the many beaches on the island or for movie affectionados, there are several sites where Korean movies and dramas have been filmed. There are luxury but also budget two day trips designed to meet the visitors expectations for their money's worth. The trip includes trip to the Teddy Bear Museum, Folk Village Museum, Lunch at Seongsan Ilchulbong Peak to name a few stops. Jeju island has plenty of accommodation options available from 5 stars to boutique hotels to guest houses. Some our over the top spectacular while others can provide a change of a life time to experience unique yet quirky stay. As an island with a long history of fishing, Jeju Island is known for delicacies made with fresh and savory seafood caught right from the waters surrounding Jejudo Island. The chewy taste of the famed black pork is also a known trademark of island along with number of dishes using horsemeat. Conmaul Gyeungju Oriental Hospital, located in Gyeongju, the former capital of the Silla dynasty’s 1,000 year reign, offer out-of-toweners including foreigners a medical treatment consultation and prescription after running Eastern and Western health tests. The hospital is devoted to regaining inner peace through healing of the mind and body and is considered an excellent getaway, one that is for both health and relaxation. Shilla Millennium Park, sectioned into five large areas: History Fantasia, Frontier Bay, Craftia, Emile Polis, and Hwarang Spirit takes you through a time tunnel going back 1,200 years to Silla Dynasty. There are hands-on experiences offered at different "workshops" with various themes offering a peak at the lives of people during the Silla period. There are different performances as well as massage and outdoor spa at the Hanok resort making this place an all in one attraction for pleasure seeking tourists. Seokguram Grotto located in one of the world's four major ancient cities, is the most beautiful work of Buddhist art in all of Korea along with Bulguksa Temple. The architectural skill of the manmade grotto, the detailed Buddha carvings that fill the walls make a remarkable structure that is unmatched worldwide while Bulguksa Temple, a registered UNESCO World Heritage Site also located halfway up Tohamsan Mountain, presents architectural style of Goryeo and the early Joseon period and its deeper Buddhist principles. The Silla History & Science Museum gives visitors a great detailed look at the interior of the two. The Bomun Resort area, situated around the picturesque Bomun Lake, features high-end hotels, restaurants and three golf courses. The resort area is full activities but the real gem is the hot air balloon (15,000 won, www.skyworld.co.kr) which gives you the full view of the ancient historic city and its beautiful scenery. Gwangju, located in the southwest corner of the Korean peninsula, is the fifth largest city in Korea and has grown to become the central city of Jeolla Province. It remains a sacred place where a host of Korea’s traditions and beauties have been well preserved and kept in their original state. Mount Mudeungsan (alt. 1,000 meters)'s scenery throughout the four seasons is considered one of the most beautiful scenic views of Gwangju. To experience the mountain magic to the fullest, set aside some time to simply wander the trails of Mudeungsan Mountain, Jungoe Park and stop by Jeungsimsa Temple. Gwangju has been and still is famous for its culinary traditions. Every year, Kimchi Festival is held and the city has been expanding its program of cultural and art projects laying the groundwork for future international events. In the heart of the city of Jeonju stand numerous heritage sites, including Pungnammun, Gyeonggijeon Shrine, Jeondong Cathedral, Crafts Exhibition Hall, Jeonju Treasures Center and the Museum of Traditional Wine. All are close by and within walking distance. One that particular which stands out, is the Jeonju Hanok Village, home to some 700 hanoks (Korean traditional houses) and traditional teahouses. Geumsan-sa, located on the slopes of Mt. Moak, is filled with Korean cultural treasures of stone pagodas, stone lanterns and wooden halls all which are designated national treasures by the government. The centerpiece of Geumsan-sa is the awe-inspiring Mireukjeon Hall, one and only massive three-story traditional structure in the country which has been designated as National Treasure No. 62. Built in 1908, Hagindang House is the oldest hanok and the only private residence designated as a cultural asset in Jeonju Hanok Village, a Slow City site. One can experience the traditional living through Hanok stays. Nearby, thre are cultural attractions including Gyeonggijeon, Jeonjuhyanggyo Confucian School, and Nambu Market. The tour takes off to historical sites that date back to Baekje Dynasty (B.C 18 - 660), and the Expo Park. There are three themed courses which the travelers can choose from: Science, History and Culture, Ecological Environment Tour and the tours can be tailored by choosing a selection of sites and "times" one wishes to see. Daejeon, a transportation hub and a center of science and technology is also equipped with healing elements. Walking through the 40km long Forest Road in Gyejok Mountain or the Ocher road in Jang-dong woodland park allows one a break from the fast pace life for a breath of fresh air. The microorganisms in loess at within the park is proved to have good effect on the body and. 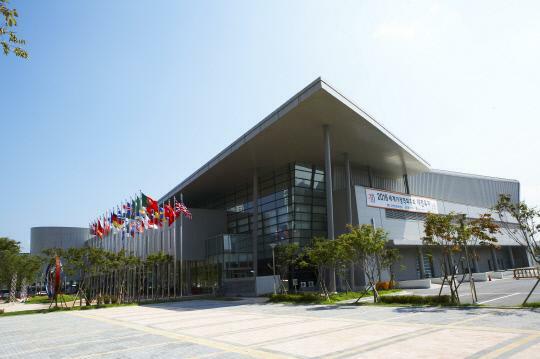 Scienced-related learning centers and exhibitions attract the most interest and attention from people in Daejeon city. Taking a trip to Daejeon Expo Science Park, National Science Museum, Civic Observatory does more than enogh to feel the scientific aspects of the city. Gongju, about 35 kms from Daejeon is the capital of the proud Baekje Kingdom from AD 475 to AD 528 is renowned for its cultural sophistication and devout Buddhist culture. Today the city remains as a small provincial town in rural northern Chungcheong province, but the splendor of the once past Baekje Kingom still lives on through the history rich Baekje-era relics. Few places in Korea exude as strong a rustic charm as Buyeo, located within one hour drive from southwest of Gongju and west of Daejeon. A small provincial town today, Buyeo was once the proud capital of a mighty kingdom whose cultural influence could be felt as far afield as Japan. Its mighty temples and palaces now lie in ruins, but reminders of the kingdom’s golden age are scattered throughout the town. Daegu, a big city with mountainous vibe, the odd combination of nature and modernity offers plenty to do for its visitors including hiking, visits to temples or historical sites and or walk through the popular streets with different themes. Walking along the streets of downtown Daegu, one will be charmed by mix of architecture where history borders modernity. Some of the major architectural landmarks of the downtown area are the missionary's residence and the Gyesan Cathedral, both built in the early 1900s. The street of the March 1st Independence Movement (Manse movement) and the residences of resistance poet Lee Sang-hwa and independence activist Seo Sang-don are also located in this area. Daegu is blessed with many nature parks varying in sizes. Each park has its own unique charm: some hold cultural assets and have much historical significance, while others feature various performances or cultural and sports facilities. There are several different themed streets great for exploring the city. The most popular streets are Dongseongno, Bongsan Culture Street, and the Yangnyeongsi Street (flanked by Oriental medicine stores). Visitors will see streets lined with colorful displays of motorcycles, tools, sewing machines, and socks, products which are representative of key industries of Daegu. Unlike other regions, many dishes in Daegu are seasoned using lots of hot red peppers and garlic. Its bold taste is said to be so spicy that it will numb your tongue. There are several dishes that are a must try: jjimgalbi(steamed short-rib dish), Bogeo (fuku) bulgogi, Napjak mandu (Flat dumplings) and Gopchang and makchang, which are edible parts of a cow's stomach that are grilled on charcoal briquettes. Namhae, also known as “treasure island,” is home to three nationally designated scenic sites and several scenic roads. The island is just far enough away from both Seoul and Busan to allow it to retain much of its rural seaside charm, even as luxury hotels like the Hilton Namhae Golf and Spa Resort make “roughing it in the sticks” a most pleasurable experience indeed. Gimhae, a city with a deeply rooted past, dynamic present, and open future, has a historic legacy that dates back 2,000 years to when it was capital of the Gaya confederacy. According to the chronicle Garakguk-gi in Samguk Yusa (Memorabilia of the Three Kingdoms), King Suro founded Garakguk state in the region of Gimhae in 42 CE. Garakguk led the Gaya confederacy and became a leader in sea trade in the Northeast region with its flourishing iron culture. The significant number of relics from that time period that can be found in Gimhae transforms the entire city into a historic museum. The festival dates back to the Jinjuseong Battle (1592) in the Imjin Waeran (Japanese Invasion, 1592-1598) period. During the war, lanterns were used as military signals, a means of communicating with reserve forces, and as a way to keep in touch with family members outside of Jinjuseong Fortress. Even after the war, people continued the tradition of floating lanterns down the river to pay tribute and to make wishes. The tradition later developed into the Jinju Namgang Festival, the lantern festival as we know today.